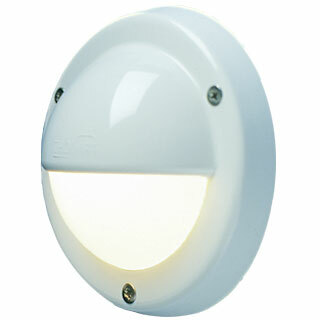 12 volt LED Courtesy Light (10-30vdc): FriLight 8991 Targa Cap, wall mount, IP64 Water Resistant, Multiple LED choices - see Bulb detail. IP64 Water resistant with included O-rings. Recess mount plastic light fixture. O-ring seals enable water resistance to IP-64 specifications. Learn about ip ratings at wikipedia. 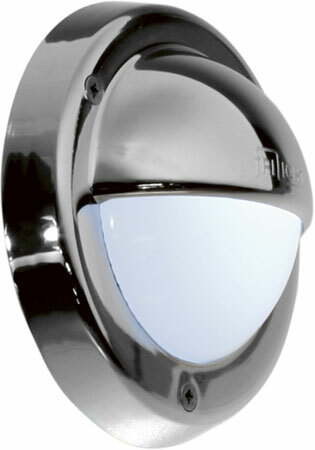 Includes energy efficient G4 LED bulb - see bulb choices.